Gran Canaria Holidays provide an incredible contrast of scenery within a relatively small space. With beaches and palm groves, mountain ravines and rocky cliffs a holiday to Gran Canaria is perfect for people looking to explore the fascinating scenery of the Canary Islands. Situated between the sister islands of Tenerife and Fuerteventura, Gran Canaria enjoys a warm climate which varies little around the mid twenties all year round making Gran Canaria holidays perfect as a wintersun escape. With some fantastic golden sandy beaches available a holiday to Gran Canaria is perfect for sun worshipers. On the south side of the island the resorts of Maspalomas and Playa del Ingles share a fabulous stretch of sandy beach - exploring the dunes around Maspalomas on camelback is a must! Wide selections of watersports are also available during Gran Canaria Holidays keeping older and younger thrill seekers occupied. Gran Canaria Holidays offer a number of resorts to choose from. Playa del Ingles is, as its name suggests is popular with English Travellers and offers a selection of shops, bars and restaurants. The resorts of Maspalomas and Puerto Rico are quieter with the latter, offering family friendly beaches and one of the sunniest spots on the island. You can book cheap holidays to Gran Canaria with Mercury Holidays safe in the knowledge you are being looked after. Our cheap holiday deals to Gran Canaria or one of our other holiday destinations will ensure you can give your wallet a holiday too. 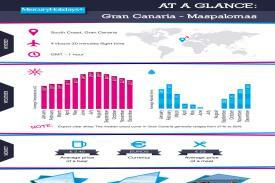 Why holiday in Gran Canaria?